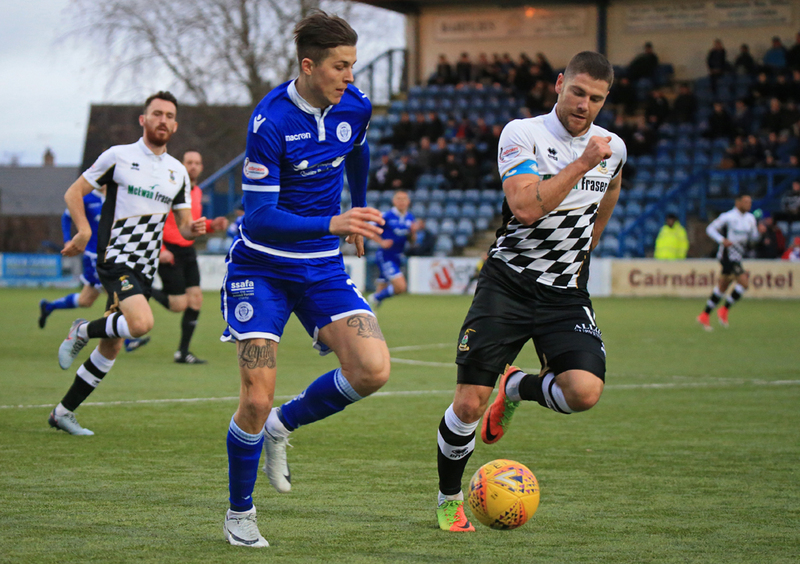 For the second time this season the points were shared as Queens and Inverness once again failed to find the net in a game that produced few real clear cut scoring opportunities.Following on from the battling point we gained against Dumbarton in midweek, a win would have seen us climb into the top four, but a draw was probably the right outcome with both well organised defences coming out on top. This was our 25th game of the season, and the manager was forced into making changes ahead of the start, as Callum Fordyce, Connor Murray, James McFadden, and Callum Tapping made way for Scott Mercer, Kyle Jacobs,Andrew Stirling, and Chris Kane as we went with a 4-3-1-2 formation with Lyndon Dykes starting behind the strike pairing of Stephen Dobbie, and Kane. The opening 15 minutes of the game flew by as both teams were keen to attack, but promising build up play by both teams was let down in the final third which allowed both defences to dominate. Ironically though it was a defensive error that saw us create our first decent chance. Dykes gained possession and fed Dobbie and the striker`s low drive was pushed away for our first corner which was well defended. The visitors then responded with a quick break that saw Alan Martin produce a smart stop to keep out a drive from Chalmers, and from a corner moments later,Polworth should have done better when left in acres of space on the left, but he could only drag his shot into the side netting. A promising move built from the back and continued with some fine control by Kane created space for Dobbie, and when he found the overlapping Jacobs on the right in space his cross let him, and the move down as for once Queens had managed to find a gap beyond the Caley defence, but sadly were unable to profit. We got a bit of good fortune when Jordan Marshall was caught in possession inside his own penalty area, but as the ball was cut back Baird and Bell both went for the ball that neither got and Queens were able to clear the danger. A further half chance came our way just short of the half an hour mark when a long ball from Mercer was headed down by Dykes into the path of Kane who saw his low shot well held by `keeper Ridgers. Our next attack saw Kane and Dykes combine well to create a shooting chance for Dykes and although the big striker met the ball first time, his effort went just wide of the far post. It was a decent enough strike from Dykes who seemed to be enjoying the role he was given, linking well with both Dobbie, and Kane as Queens looked to find a way through the visiting defence. As the half drew to a close we got what was possibly our best set-piece opportunity of the half when a foul on Dykes by Vigurs- that earned him a booking- gave us a free-kick 20-yards out in a central position, but Stephen Dobbie could only shoot straight at the assembled wall and the chance had gone. Dobbie again went close when good battling by both Marshall and Dykes gave the Australian the chance to cross and when his delivery picked out Dobbie, his scissor-kick half -volley wasn`t too far wide of the target. HALF-TIME QUEENS 0-0 INVERNESS C.T. There were no changes at the break and it was Queens who were first to venture forward when Dobbie, Dykes and Marshall combined well to set up a chance for Stirling, sadly though once again there was no end product as his shot flew well wide. The opening minutes of the half was probably our best period of continued attacking play, and a shot from Dobbie was comfortably held after good approach work involving Dykes, and Stirling.Minutes later a deep free-kick from Stirling was met by Jason Kerr at the far post but he was unable to keep his header on target. 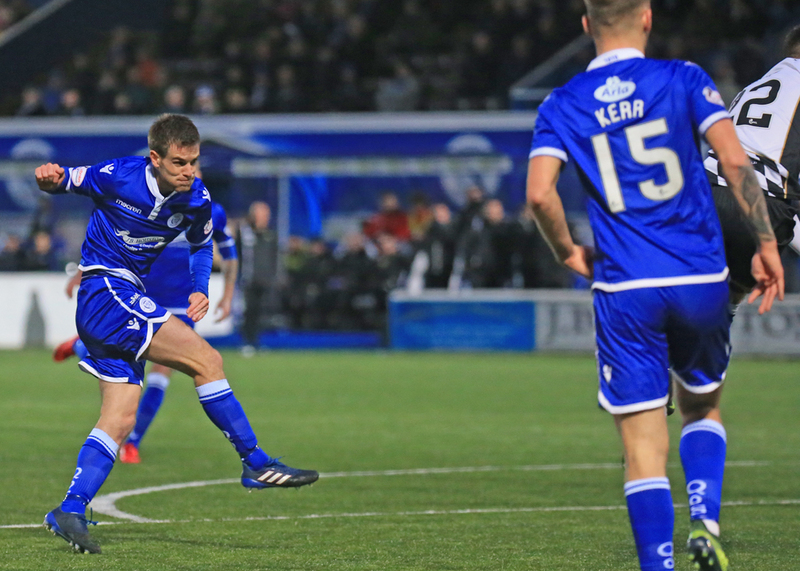 With Queens dominating at this stage, Inverness were at last under pressure, and Donaldson became the second player to be cautioned after hauling down Kane, and although the free-kick crashed into the wall, the rebound fell for Kerr to lay the ball into the path of Jacobs, but his powerful shot went straight at the `keeper who held on well - either side of him and we might well have taken the lead. A quick break from the visitors saw Mulraney have a shot easily saved by Martin, and then Vigurs wasn`t so far away from giving his team the lead from a free -kick. Substitute Trafford became the third visiting player to be booked by referee Cook for what was a real `agricultural ` challenge on Dykes, and just after that incident, Queens made their first change of the game when James McFadden replaced Andy Stirling. The longer the game went on, a draw looked to be the most likely outcome and although we made two further changes - Lyle for Kane, and Rooney for Dobbie - to try and find a winning goal, Vigurs shot from distance for the away side was as close as either team came to finding that elusive goal. Mulraney became the fourth Inverness player to be booked for a late challenge on Martin, and not to be outdone, Darren Brownlie was cautioned late on as the encounter came to it`s conclusion. 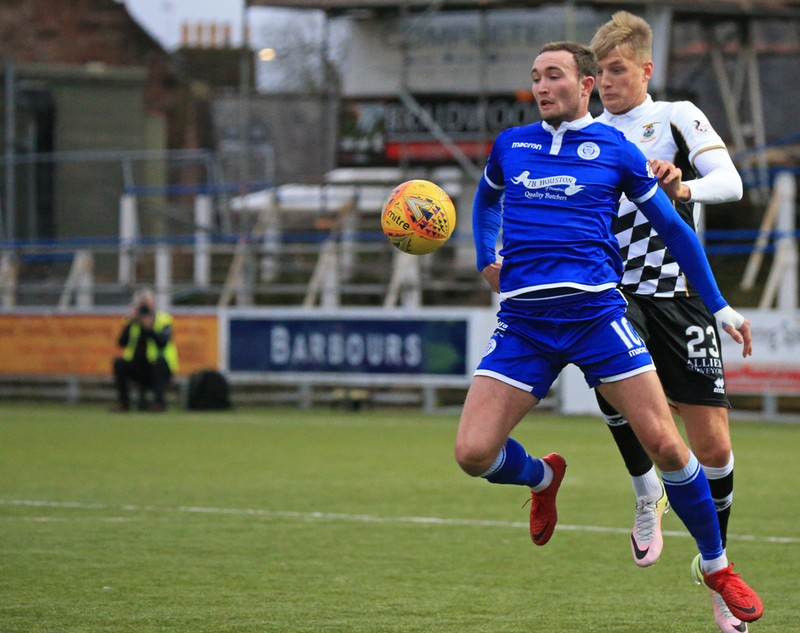 Man-of-the-match was given to Jason Kerr, and there would be few in the crowd of 1293 who would have disagreed with that decision, the St. Johnstone player will certainly be a huge loss when he leaves us at the end of his loan spell. 14:59 The teams are out and we`re moments from kick-off. 5 min Kane is bundled over the defender but the referee waves away Queens` protests. 6 min Tremarco has tons of spaces on the left but his chipped effort is collected by Martin. 9 min Stirling delivery is cleared out for a throw-in. 10 min Dobbie`s shot is palmed out by Ridgers for a corner. 12 min Dobbie again with a chance. This time his low effort from 20 yards is saved by Ridgers. 12 min Inverness come close but Martin tips the ball out for a corner. 13 min Polworth hits the side netting with his attempt. 23 min Baird`s shot is collected by Martin. 27 min Dobbie`s shot is saved by Ridgers. 28 min Kane sets up Dykes and his low powerful effort from just outside the box glances wide of the post. 32 min Stirling`s cross is palmed out for a corner by Ridgers. 36 min Dykes is brought down by Vigurs on the edge of the d. Dobbie to take the free-kick. 36 min The free-kick is blocked and Inverness counter attack. 37 min Tremarco`s header flies wide of the target. 43 min Stirling`s free-kick is tipped over the bar by Ridgers. 44 min Dobbie`s overhead kick spins wide. 47 min Stirling`s fierce effort flies over the bar. 51 min Dobbie`s shot is collected by Ridgers. 53 min Stirling`s free-kick is headed goalwards by Kerr but can`t find a Queens player and out for a goal kick. 56 min Jacobs shot is well held by Ridgers. 57 min Queens upping the anti here. Corner to the Doonhamers. 57 min Kerr hooks his chance over the bar. 58 min Mulraney`s shot is well saved by Martin. 60 min Inverness free-kick flies over the bar. 62 min Dykes` shot is knocked out for a corner. 70 min Brownlie`s shot is collected by Ridgers. 90+3 min Lyle drags his shot wide. 16:50 Nothing to separate the two teams today.